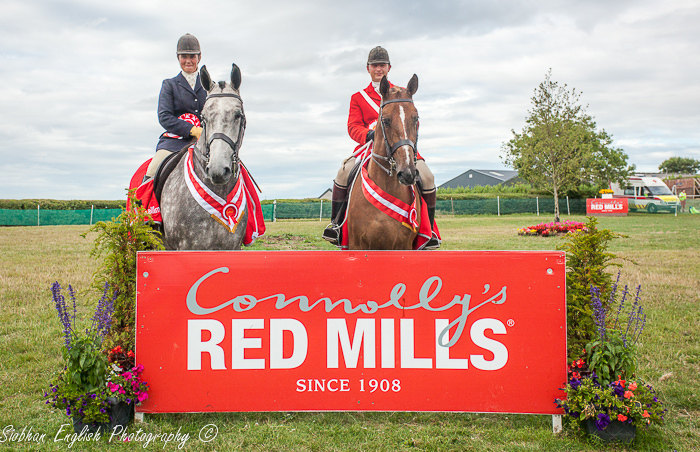 After eight hotly contested qualifiers around the country at which a max of 3 horses could qualify at each it was time for the Connolly’s RED MILLS Champion of Champions final. 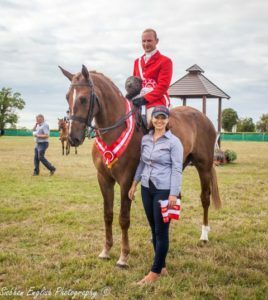 Set in the grounds of the magnificent Tattersalls Country House, 16 combinations came forward for what was anticipated to be a very competitive final for judges Ms Michelle Underwood (ride) and Miss Bridget Millington (conformation). On the go round each horse was judged at the walk, trot, canter and gallop. All horses were then pulled in in random order with the seven 4yo’s grouped together and the nine older horses the same. There were fantastic displays from all of the finalists with some spectacular gallops with several catching the eye. The 4yo’s were ridden first while the older horses were stripped and presented for conformation. The standard of horse was top class, with each combination turned out to perfection in their traditional hunting attire. Due to the high quality of the class it took just shy of 2 hours for the judges to reach their decision after much deliberation. The crowd went silent around the ring as they waited patiently for the announcement. The Connolly’s RED MILLS Champion of Champions went to Bloomfield Waterfall and Jane Bradbury with Reserve Champion and Best 4yo going to MHS Charlie Fox and Aubrey Chapman. Bloomfield Waterfall, owned by Daphne Tierney is a son of the thoroughbred stallion Watermill Swatch. 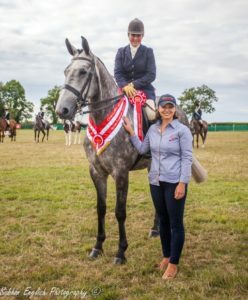 The grey gelding was bred in Co Wexford by Pat and Miriam O’Sullivan out of the Annaghdown Star mare Bannvalley Stargazer. MHS Charlie Fox, owned by Victoria Tennant is by Quidam Jnr (KWPN). The chestnut gelding was bred by Tom Brennan, Gowran, County Kilkenny, out of the Cavalier Royale mare MHS Cavaliers Daughter.